Bonhams is pleased to announce the sale of two significant Austin-Healeys direct from the Collection of marque connoisseur Arthur Carter. Arthur Carter assembled the greatest collection of Austin-Healeys, including Works and customer 100S models, Works Sebring and Rally 3000s, competition Sprites, one of the three 4000 MKIV Healeys, road going models and, of course the talisman itself, the Donald Healey 100 Coupe. The 1953 Austin-Healey 100 Coupe, registered ONX 113, was the much loved everyday car of Austin Healey founder, Donald Healey, who used it extensively over a 10-year period. Healey had asked chief designer, Gerry Coker, to produce two variants of a coupe on the four-cylinder Austin-Healey 100 platform, in order to explore the possibility of producing a coupe for series-production. A red car, ‘ONX 113’, and a blue car 'OAC 1' were produced. The red car is, by common consent, regarded as the prettier of the two and it was the one that Donald Healey subsequently commandeered for himself. The car was used for continuous development and, when the 100S competition programme came on stream, Donald had the 100S mechanicals, including engine, gearbox and disc brakes, installed. The car effectively became a 100S Coupe, making it totally unique. The blue car still survives and became the test bed in period for the later six-cylinder engine for the subsequent 100/6 model. To Healey collectors around the world, the 100 Coupe is regarded as perhaps the most important – and arguably most coveted – Healey of all, taking Gerry Coker's original timeless design to an even higher level. Donald's coupe is a truly historic and significant motor car. “As an Austin-Healey owner myself, I am a committed and avid fan of the marque. I have handled some of the most important Healeys in my 30 plus year career but have always wanted the privilege of representing Mr. Carter’s legendary 100 Coupe. That time has now arrived and I will enjoy every minute of bringing ONX to market. “What I find most exciting is that, although serious Healey collectors were aware of the car, many collectors in the more general market did not knowthat Healey produced a 100 Coupe – and one as special as this example. It was no secret that Mr. Carter owned the car, but it appeared rarely, and at Club meets at that. It is a dark horse – under the radar of many – that is ready to grace the world’s most prestigious concours and other historic motoring events. There is no doubt the car will attract the attention of world’s great collectors”. The 1959 Works Rally 3000 – ‘SMO 746’ – is the very last of a number of the Works Rally cars from Mr Carter’s collection. SMO 746 was one of three of the first series of 3000 MKI Works Rally cars produced that competed in the 1959 and 1960 International Rally seasons. Rally successes by the three 'SMO' Works team Healeys did much to boost sales of the new '3000' model Austin-Healey. SMO 746 was raced by such luminaries as Jack Sears, Pat Moss (sister of Sir Stirling Moss, and wife of the great rally driver Erik Carlsson), and John Gott. As one of the Works team, it competed in famous events such as the grueling Alpine and Liege-Rome-Liege rallies. 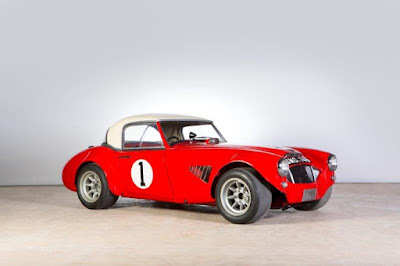 When Gott left the Works Team, he took SMO 746 and continued to race it extensively, in the process taking more race wins in period than any other Austin-Healey. Moving with the times, John subsequently developed SMO 746 into a fearsome looking Modsports car, the guise in which it presents today. John Gott was to sadly crash the car at Lydden Hill in 1972 after having a suspected and fatal heart attack. Mr. Carter later acquired the crashed car and chose, as a fitting tribute to the highly respected Gott, to restore the car back to its Modsports configuration. Given the relative simplicity of the 1959 team 3000's, the sale of SMO 746 provides a rare opportunity to secure a one of the most recognizable Works 3000 cars. 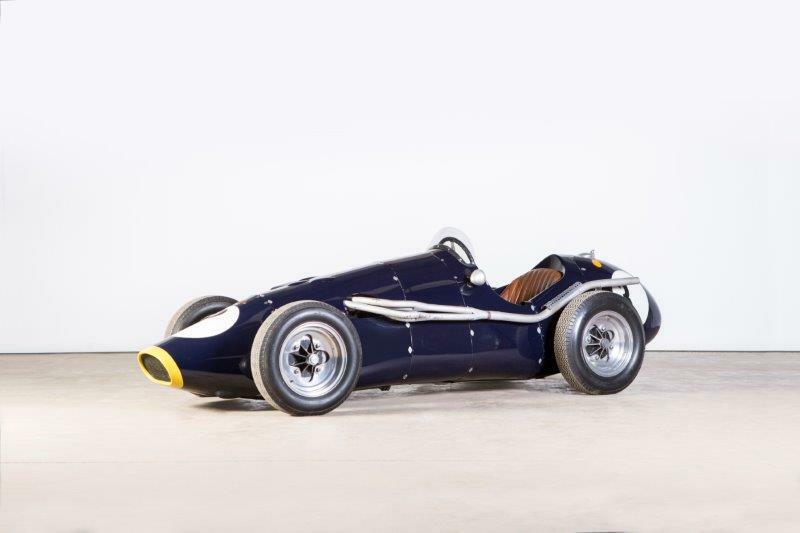 The Arthur Carter Collection will also offer a Connaught A-Type Racing Single-Seater, a car which boasts a long standing historic racing career in the hands of Ken Flint, Jack Horton and Dan Margulies in the 1960s and 1970s. All three motor cars will be previewed in the Bonhams marquee at this year’s Goodwood Revival Meeting, taking place this weekend. 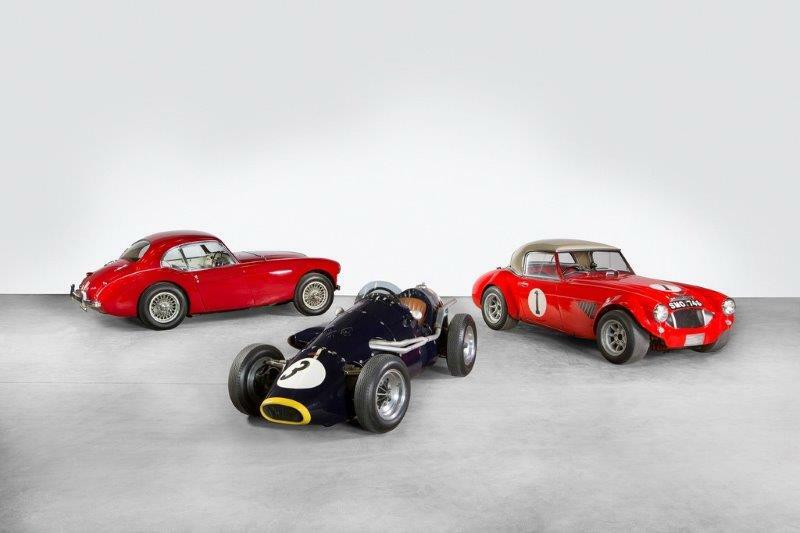 For further information on Bonhams motoring department visit: bonhams.com.